These clips are needed to provide professional installation of RG6, Network, RG59 and many other wires. Cable Clip, 100 Pieces per Bag. 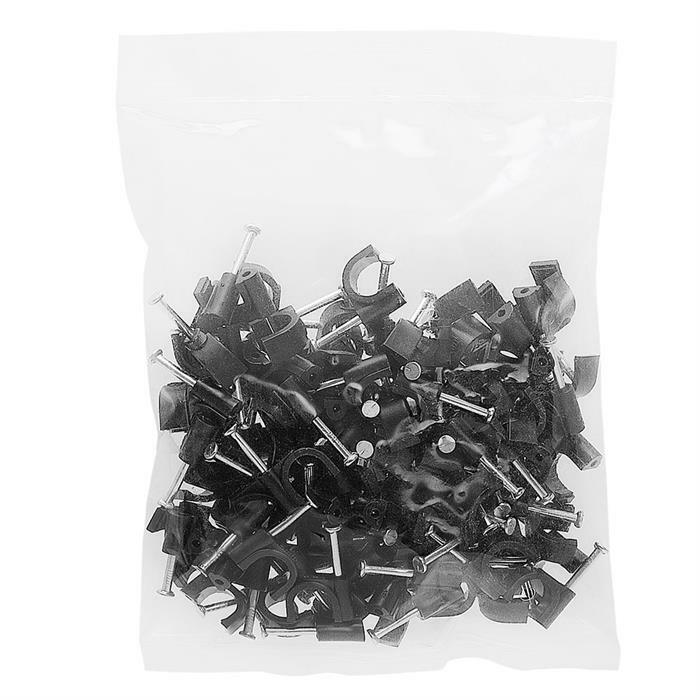 Use these cable clips to organize your cables into one uniform area. Use them to route cords as needed and prevent unnecessary damage during installations. Comes with nails to mount to various surfaces.